I found Marcia Meredith Hensley’s book Staking Her Claim Women Homesteading The West at a used book sale. 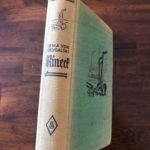 It is a book that addresses women’s rights, frontier women as landowners in the early 1900’s, and stories that help genealogists understand what life must have been like during that time. Staking Her Claim is an anthology of stories that the author found from journals, diaries, personal accounts, and oral histories most of which were published in magazines such as Sunset, Overland Monthly, Atlantic Monthly, The Independent, and Collier’s. This book focused on homesteading that I had not paid much attention to in my genealogical research. This was homesteading that took place out west (Montana, Dakotas, Colorado, etc) in the early 1900’s. In 1909 the Enlarged Homestead Act was passed to target homesteaders willing to drylands farm and the number of acres was increased to 320. 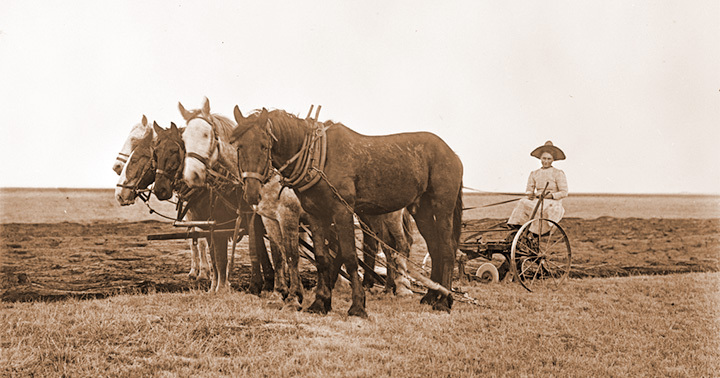 In 1916, the Stock-Raising Homestead Act was established to lure settlers interested in ranching (640 acres). 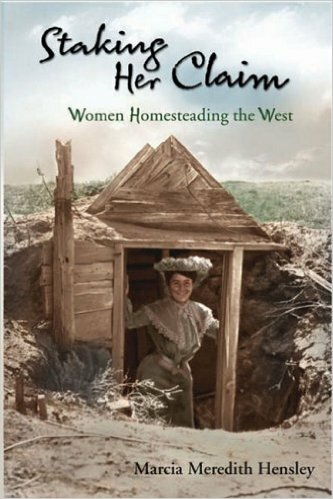 These stories brought a new perspective to me: women owning land, homesteading, establishing residency and improving the property in order to keep it-but in the early 1900’s and by women! You will enjoy hearing about the role of railroads, how the women spent their days and nights, and how they survived in a male dominated west.You will enjoy reading the stories and I’m sure will be as amazed as I was by the courage the women settlers must have had. The book did not address (to a large extent) the American Indian tribes or the economic and industrial systems that would also be in existence at this time. If you have ancestors who were homesteaders or even relatives who own land in the west, I would encourage you to pick up this book and gain a perspective about the actual experiences of settlers who put down their roots in the unsettled west in the early 1900’s. Who Gets Included in the Family Tree?